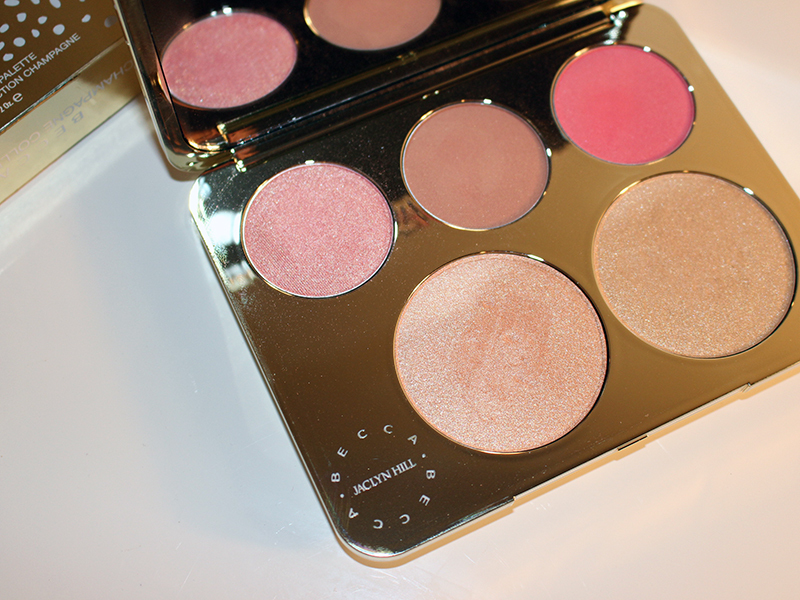 It's been such a long time since I get a high end palette but after the whole craze with the Champagne Pop highlighter, I wanted to give this limited edition palette a try. 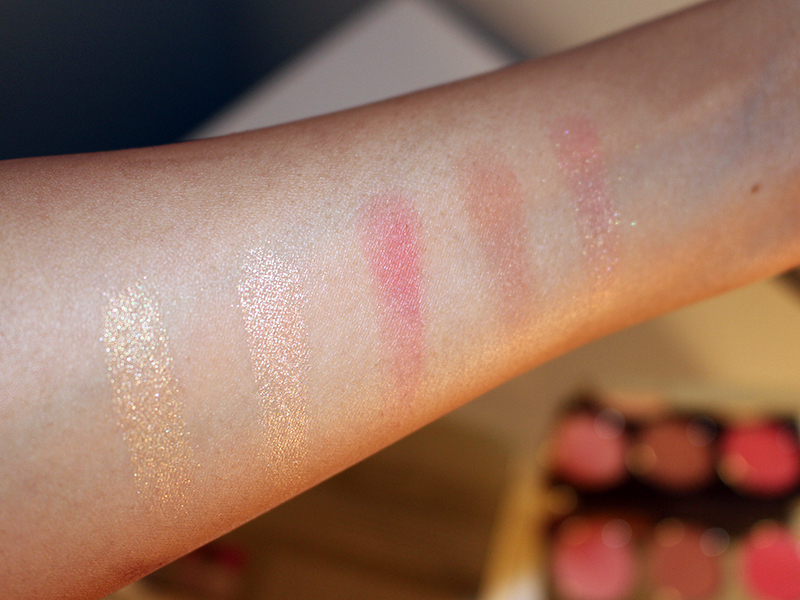 I'm so glad I waited because I get the coveted highlight alongside with another beautiful one and 3 shades of blushes suitable for a lot of skin tones. In the M.A.C. 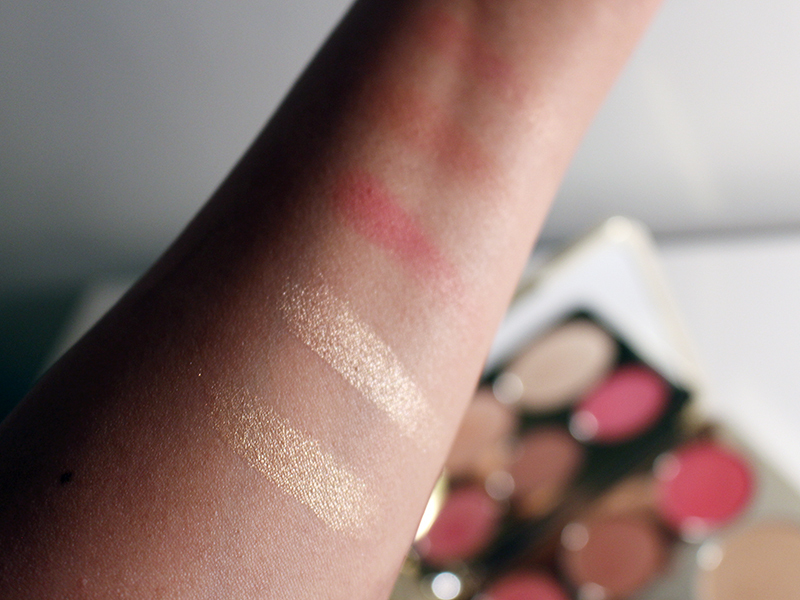 cosmetic world I'm between NC40-42 for reference when looking at these swatches. 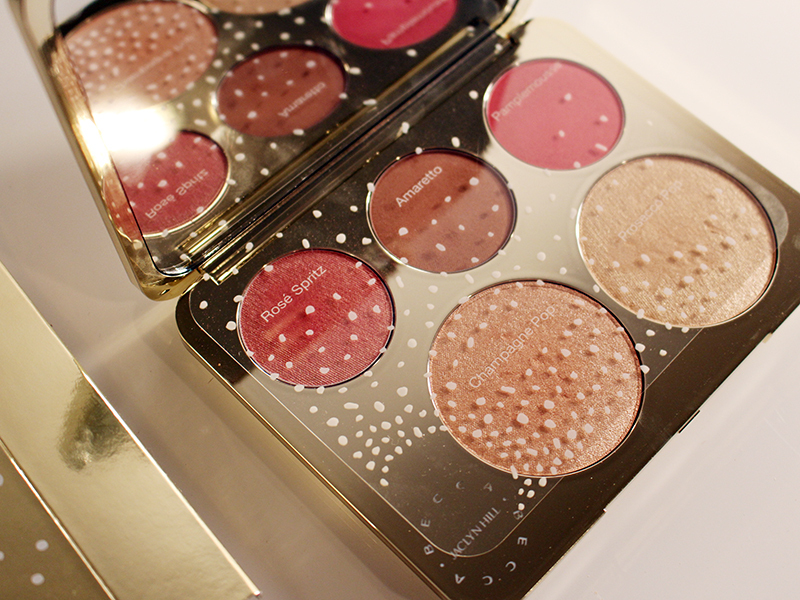 This palette is amazingly exquisite. Priced at $52 plus taxes and totally worth it! 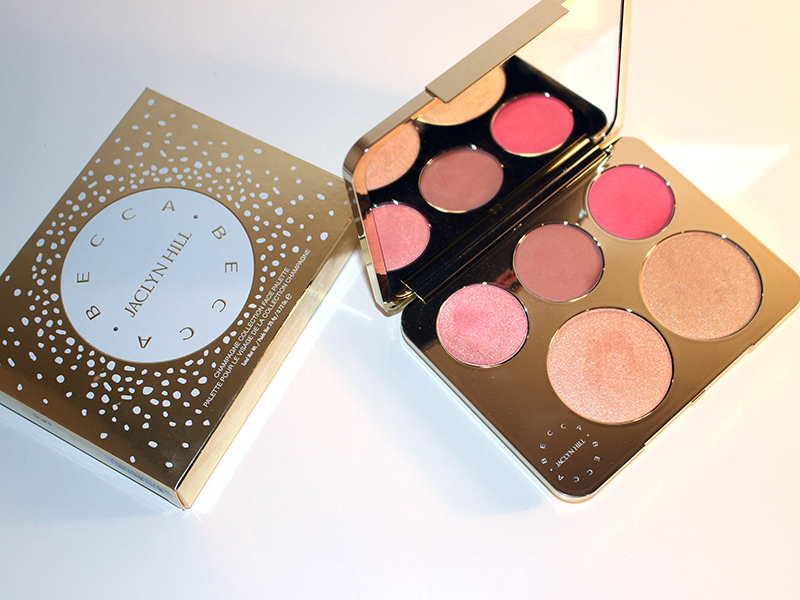 The quality, pigmentation are to die for and the colors are amazing for the upcoming season. I have been testing it out for a few days and I'm obsessed! I even use the colors as eye-shadow because of how pigmented they are. I have to say this is without a shadow of a doubt the one item you need from this collection and if you're new to the highlighting scene. 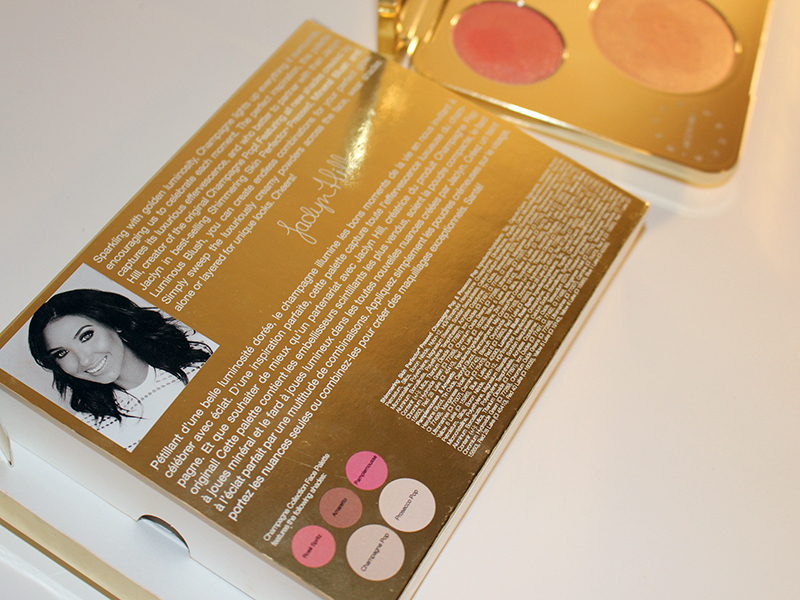 Although it's already sold out on Sephora, It'll be available in stores June 16th. - 2 x 0.12 oz Mineral Blush in Amaretto (matte toasted almond), Pamplemousse (matte warm coral pink) - 0.10 oz Luminous Blush in Rosé Spritz (soft peachy pink with pale gold shimmer) "